Have you ever found yourself pondering who might your Guardian Angel be? Perhaps there have been times when you have chuckled to yourself over some life circumstance or situation, mentioning your Guardian Angel has been working overtime and might need a vacation. Realizations to this effect would obviously mean you have become conscious of a part of your life which has been challenging and you recognize your role in the synchronicity. Before you incarnated into this human life experience you assembled before a panel of very wise and elderly Souls. Each one of these Elders assisted you in the blueprint of how your current life would take hold, what lessons you are meant to learn through your choice of parents or caregivers, partnerships, co-workers and friendships. Your Council of Spiritual Souls awarded you with a Guardian Angel and several Spirit Guides. Each of one of these Spirit energies has been working diligently to keep you directed on your natural Spiritual path so you may achieve a higher level of vibration while you are here, this is the sole reason you are here in this life experience. Reflecting on your past perhaps you will remember a time when you were confronted with a challenge and you wondered how you pulled through or even survived whatever the incident might have been. Such an occasion would be a moment when you could thank your Guardian Angel for coming to your rescue, knowing it was not yet your time to leave this incarnation. Your Guardian Angel is your exclusively, their spirit energy works only for you much like a private detective does, they have only one case – You! Your Guardian Angel offers guidance and brings people and opportunities into your life, like an archetypal mother she is doting and her love is unconditional like no other love you have known. Is there physical evidence your Guardian Angel has appeared for you, absolutely there is. If you spot a bright light or a strange coloured Orb, you might think your eyes are playing tricks on you. However, these lights and Orbs are said to be ‘vehicles for angels’. Have you ever noticed a sudden sweet smell, angels love pleasant scents? 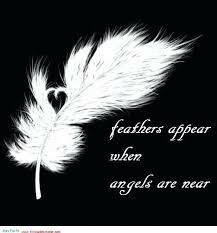 What about those white feathers that appear out of nowhere, or those angel numbers (11:11, 2:22…) that keep popping up in front of you. Rest be assured you have a Guardian Angel that loves you and is watching over you each and every day.